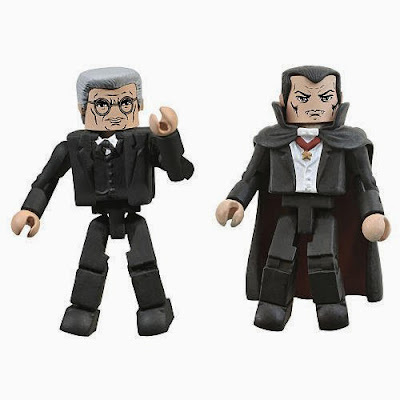 Dracula and Van Helsing are from Wave 2 of Universal Monsters Minimates. 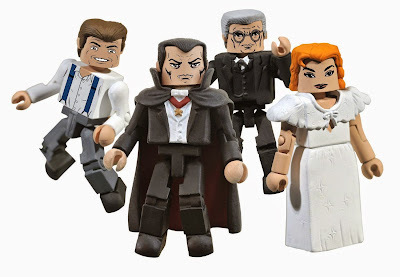 The Dracula minimates box set includes Dracula, Renfield, Mina Harker, and Van Helsing. 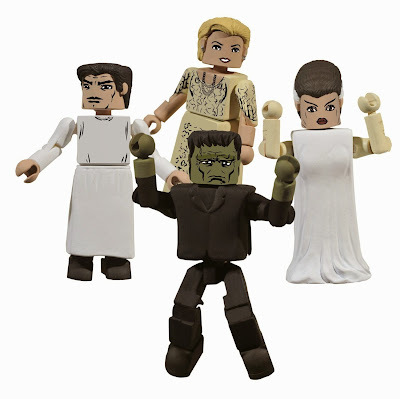 The Frankenstein box set includes minimates depicting Frankenstein's Monster, the Bride of Frankenstein, Dr. Henry Frankenstein and an exclusive Elizabeth. 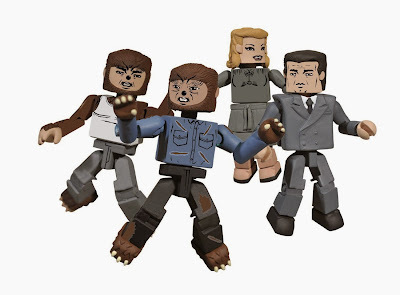 Before I saw this Wolfman boxed set of minimates, I don't think I could have named any other than the titular character. 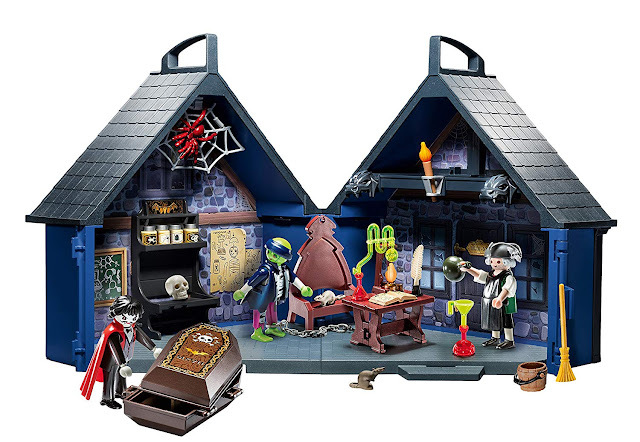 The set comes with The Wolfman (in mid- and full transformations), Larry Talbot, and Gwen Conliffe (whoever she is). 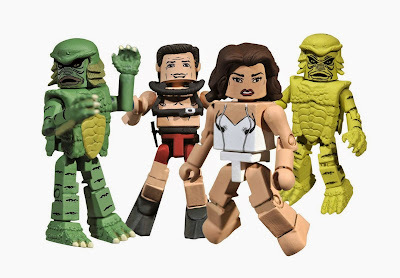 The Creature from the Black Lagoon boxed minimates set includes The Creature (classic and glow-in-the-dark), Dr. Reed in diving gear, and the exclusive Kay Lawrence in swimsuit. 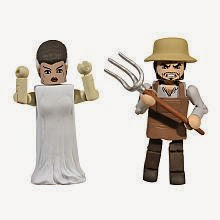 This set comes with the Bride of Frankenstein as well as an adorably angry pitchfork-wielding villager.